Marijuana use is up in the last year among American middle-school and high-school students, and legalizing the drug likely would mean many more underage marijuana users, according to Monitoring the Future, one of the United States’ largest studies of students’ drug use and attitudes about drugs. In the last 10 years — roughly since the commercial boom in medical marijuana sales in states including Colorado, California and Washington — the overall rate of 12th graders saying they would not use marijuana even if it were legalized has dropped 30 percent. Over the same decade, the rate of high school seniors saying they would use more marijuana if the drug were legal has almost doubled. Marijuana use among Colorado youth IS on the rise. Marijuana sales are permitted in eight states and Washington, D.C. — and researchers attributed the changes in students’ attitudes to the growing number of states that have sanctioned marijuana use. Students may “interpret increasing legalization as a sign that marijuana use is safe and state-sanctioned,” they wrote. 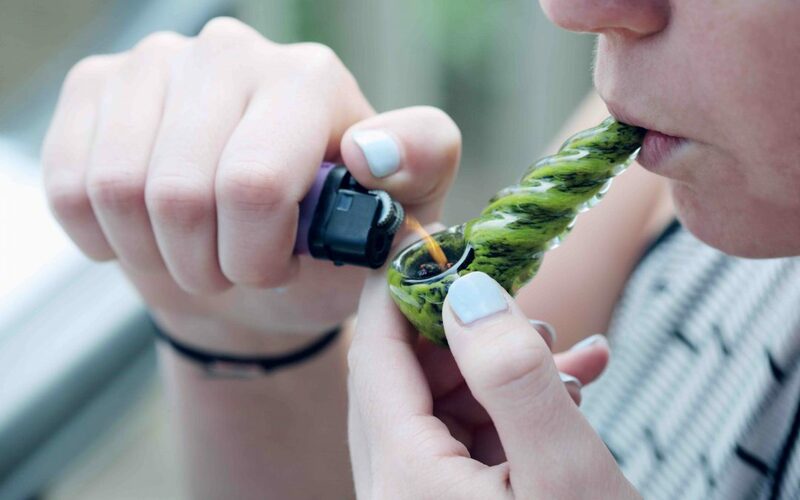 Researchers also noted parents’ shifting attitudes about marijuana use also may affect their children: The survey found 17 percent of 12th graders today believe their parents would not disapprove of marijuana use. That is nearly double the 8 percent average from the late 1970s. And in 2017, the proportion of 12th graders who favored marijuana legalization was at 49 percent, the highest level ever recorded in the survey’s history. The United States cannot afford to legalize marijuana.